DUBAI – 27th October 2017: Gama, a global provider of business information and services specializing in innovation and international trade, is today pleased to announce the opening of operations in the United Arab Emirates (UAE) to drive expansion in the Middle East & India. Located in Dubai, UAE, the business will support FMCG retailers and manufacturers to tap into new opportunities in the regions’ fast-growing consumer goods sector. Headquartered in Manchester, UK, Gama provides information and insights relating to fast moving consumer goods (FMCG) innovation through its flagship Gama Compass service. Gama Compass is a premium subscription offering for the FMCG sector that enables manufacturers and retailers to take a more informed approach to product strategy, increase profitability and reduce costly mistakes. The new operation will be headed by Jude Pereira, a leading entrepreneur with extensive knowledge of the Middle East and Indian markets. It will serve companies in the UAE and the wider Middle East, in addition to the Indian subcontinent. 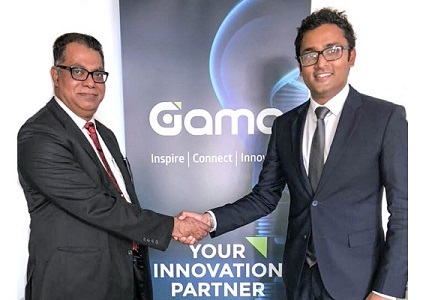 Commenting on the move, Gama Founder & CEO Cesar Pereira said: “I am thrilled to be able to announce the opening of our Middle East & Indian operations, enabling Gama to translate its innovative business model and unique content and insights to support companies in unlocking new opportunities across the two regions. I am equally delighted that this exciting new venture will be led by Jude Pereira, an outstanding business leader with almost 30 years’ experience in the Middle East and Indian markets, and a proven track record of driving growth and delivering success across the globe”. Jude Pereira, Managing Director, Middle East & India, added: “I am excited to join Gama and to be able to bring this unique offering to the Middle East & India. Food & drink is a rapidly-expanding sector, and companies will increasingly need to rely on robust data and compelling insights to maximise their chances of success in this dynamic market. Through its unique proposition and tailored solutions, Gama will be the perfect partner for forward-looking manufacturers and retailers looking to streamline their innovation strategy and tap into new business opportunities”.